During pregnancy, fruits and vegetables are healthy dietary choices. In general, they are high in nutritional content -- vitamins and minerals -- compared to their caloric content, meaning that they help provide for your cellular needs and those of your developing baby. While you can safely enjoy any fruit during pregnancy -- and rest assured that you're making a healthy choice -- some categories of fruits stand out as particularly wise choices. 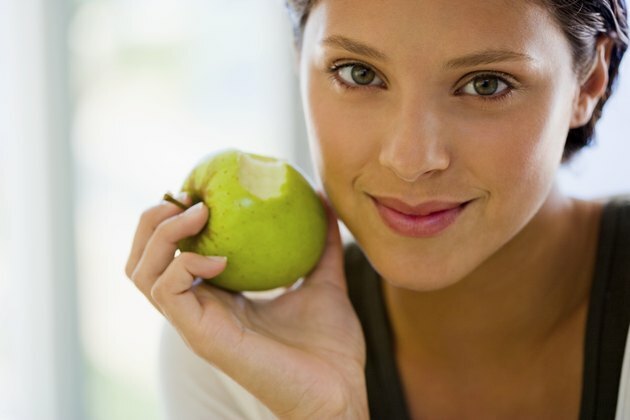 Apples are an excellent choice during pregnancy for several reasons. First, they are high in vitamin C, which is an important antioxidant vitamin that you need to help maintain the immune system and the integrity of the skin and connective tissue. Your developing baby also uses vitamin C to help build connective tissues. In addition, however, apples are high in fiber. During pregnancy, your digestive system slows down, explain Heidi Murkoff and Sharon Mazel in their book, "What To Expect When You're Expecting." Fiber can prevent the constipation that often accompanies this digestive delay. Brightly-colored fruits, especially those that have colored flesh in addition to colored skin, are rich sources of many different biologically active molecules. The brighter the fruit, the greater the variety of phytochemicals and flavonoids in the fruit. Research suggests that these chemicals foster health in many different ways. For example, a 2003 study in the "American Journal of Clinical Nutrition" notes that phytochemicals and flavonoids act as anti-inflammatories and support cellular health. Because your developing baby pulls nutrients from your body in such large quantities during pregnancy, eating fruits rich in protective chemicals can help support your own cellular health. 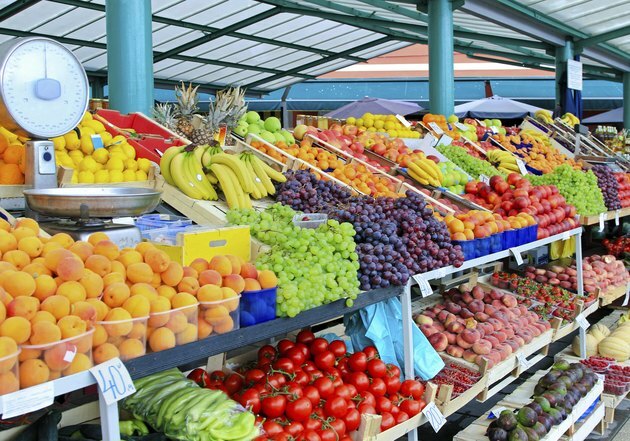 Good choices for brightly colored fruits include berries, mangoes and red grapes. 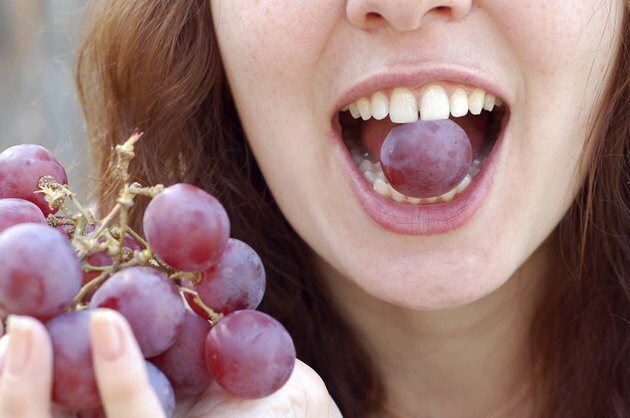 In addition to specific fruits that are high in nutrients, research shows that it's best to eat a wide variety of foods, including fruits, during pregnancy. 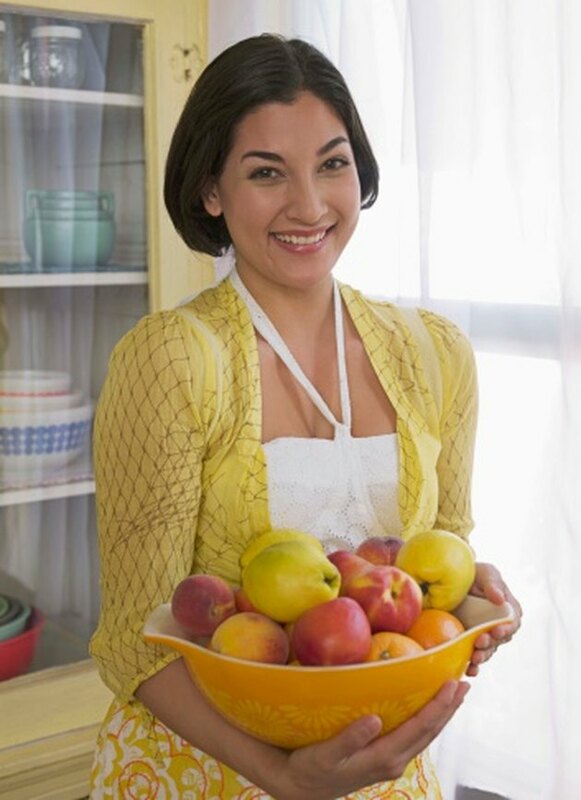 ScienceDaily.com notes that women who eat a wide variety of healthy foods -- including plenty of different fruits -- during pregnancy help predispose their babies to a lifetime of preferring healthy food choices. Your developing baby can taste the foods you eat via the amniotic fluid, and tends to prefer those flavors it has been exposed to before. As such, eat a wide variety of fruits each day throughout your pregnancy to encourage your baby to do the same throughout life.